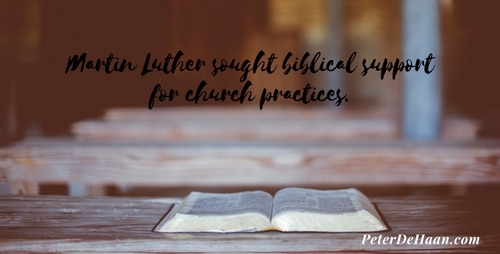 As Martin studied the Latin translation of the Bible, he grew worried about the lack of biblical support for the Church’s misuse of indulgences, of essentially allowing people to buy their salvation. Instead, he found the Bible overflowing with grace. This disconnect alarmed him. The practice of indulgences confuses many outside the Catholic Church. A simple explanation is that an indulgence offers a way to reduce the amount of punishment for sins by taking a specified action. These acts might include repeating a prayer a certain number of times, traveling to a specific place on a pilgrimage, or performing an assigned task, such as doing a good deed. Indulgences can tie in with the sacrament of penance, which involves remorse, confession to a priest, acceptance of punishment, and absolution. Among other things, penance is a partial indulgence that can reduce the time spent in purgatory for a sacramentally absolved sin. Though his view seems to have changed later, Martin viewed the practice of indulgences as acceptable. His alarm centered on their abuse. This overzealous application changed indulgences from taking a conciliatory action to making a monetary payment. This fundraising scheme escalated out of control and further impoverished already poor people, as they spent what little money they had trying to make themselves right with God. Also, these misguided church leaders sold a full indulgence, which guaranteed a quick release from purgatory upon death—a complete pardon, if you will. In effect, they sold the promise of eternal salvation. Martin objected to the idea that people could essentially buy their way into heaven, with no need to repent. This, and the heretical teaching that accompanied this abuse of indulgences, prompted him to act.